WhatsApp has become a fundamental tool in the daily lives of many people and knowing some little tricks can help us get the most out it. 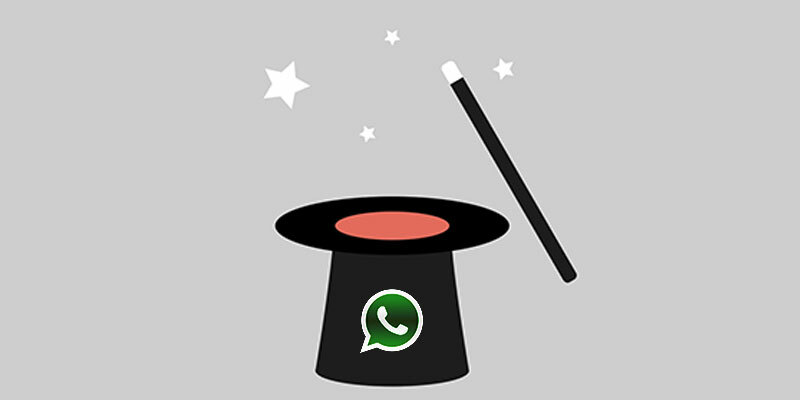 Here are 5 useful tricks for WhatsApp that can be used right away. Although you spend much time chatting with our friends and family through the king of instant messaging apps, I’m sure you still don’t know all the things you can do with it. Here is a list of 5 easy tricks for WhatsApp that can make your use of the app more comfortable and efficient. In the application you can mark whole conversations as “unread”, similar to what you do with emails. This is handy when someone sends you a message and you read it, but you want to keep it pending so that you can read it again later. Just hold on a conversation and click “Mark as unread“. This does not delete the blue ticks from the sender’s phone person, but leaves a green circle on the conversation so that you can remember to read it later. Certainly, it has been the most controversial feature since its release. As many users have complained about this function, developers rolled out an update to remove this feature. To do this simply go to Settings> Account> Privacy and uncheck ‘Read Receipt‘. Alternatively, read our guide about how to be invisible on WhatsApp. New versions of WhatsApp allow you to have more than one administrator in a group and ask permission to remove or add a person. Through the window group information, click on the member you want to make an administrator. Among the possible options you will find ‘Make group admin’. With this new feature you can block and report a user as a spammer if you receive messages from a number that you don’t have registered on your phone. Otherwise, you can simply add it as a new contact if you know them. If you need to communicate something to many people but want to do it privately, you can do so by using the ‘Broadcast Message‘ function. Go to WhatsApp, click on ‘Broadcast lists’ and select the contacts to whom you want to send the message. Only recipients with your phone number in their contact list will receive your messages. To learn more about this function, read How to forward a message to multiple contacts. Do you want to add some other easy magic trick to this list? Use the comment box below and share with us your trick.